The hotly anticipated Song Saa in Cambodia opened last month and Michelle in our Asia team was lucky enough to be one of its first guests – and very quickly fell head over heels for this private island paradise. Here she shares her experience of this exceptional new destination that, without doubt, is the luxury resort to watch in the coming years. From my first distant glimpse to my teary goodbye, I have been completely and utterly mesmerized by Song Saa, Cambodia. Song Saa, meaning ‘The Sweethearts’ in the Khmer language, is the first luxury private island in Cambodia after being discovered and beautifully designed by Australian owners, Rory and Melita Hunter. 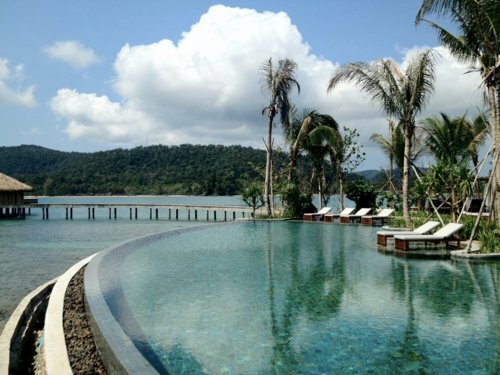 Song Saa consists of two perfectly formed islands, Koh Ouen and Koh Bong, which are joined in harmony by a wooden walkway over the glittering water. A unique concept and the first of its kind in Cambodia, Song Saa is truly an island paradise that seduces and mesmerizes. 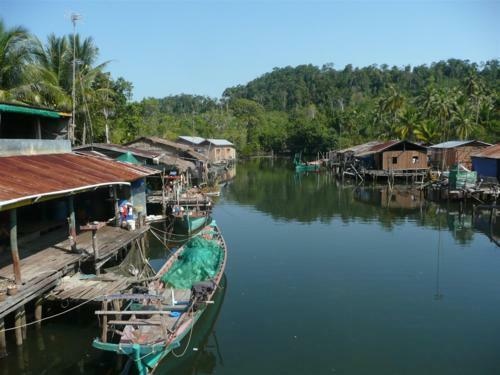 As our speedboat skimmed over the turquoise seas from Sihanoukville on the South coast of Cambodia, the excitement began to mount and I felt my heart leap as the island came into view for the first time. On arrival, we were treated to a warm welcome by the wonderful island staff and resort owners, Rory and Melita. 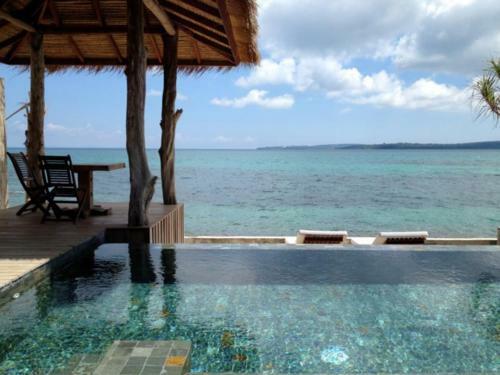 Rory escorted me to my very own Overwater Villa – situated on the sunset side of the island. The villas are simply exquisite – all beautifully appointed and dominated by a vast four-poster bed, enveloped with luxurious white drapes with views over the Cambodian ocean. Melita’s design can only be described as perfection – from the moment you enter your villa, you are transfixed by the rustic charm and stunning beauty of your surroundings. 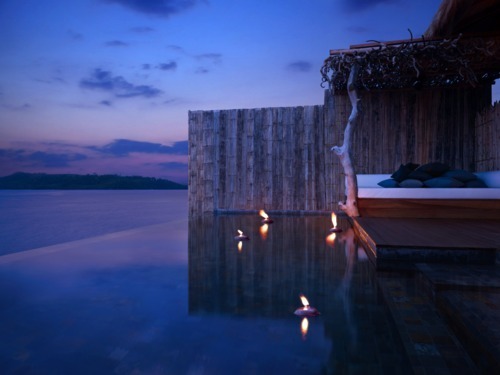 As Rory left me to explore, I gasped and smiled, shrieked and leaped as I took in my island home for the next few days. Ambient music flowed from the iPod as I opened the huge doors to my private terrace, which featured my very own infinity pool with direct access to the sea, a huge day bed adorned with pillows and an outdoor tree trunk shower. 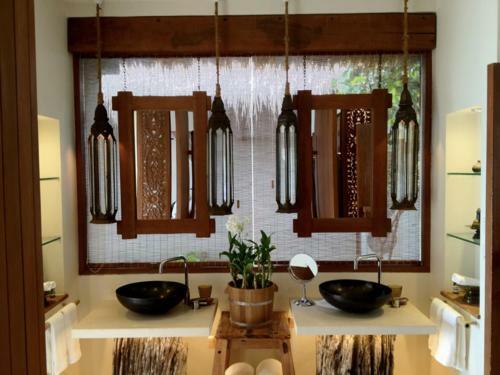 Everything on the island is inspired by the local environment and is crafted to resemble an authentic Cambodian fishing village – even reusing and recycling traditional fishing boats to create the exquisite surroundings. 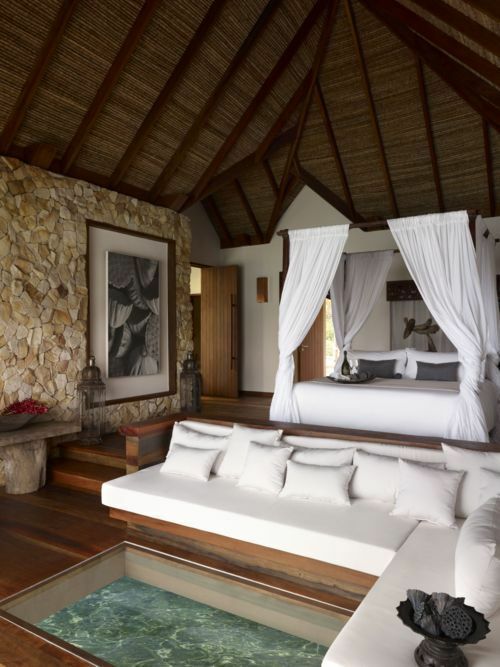 The atmosphere on Song Saa is relaxed and informal – true barefoot luxury at its best. From the moment we arrived until our departure, shoes were well and truly forgotten about, left in suitcases and abandoned on the doorstep in favour of constant silky sand between the toes. Our first evening began with cocktails on the Vista bar terrace (still sans shoes!) overlooking the huge expanse of ocean that surrounds the island. As we stood sipping mojitos in the warm breeze, all stresses and worries instantly disappeared as the sun set over the neighboring island of Koh Rong. Sunset at Song Saa really is a magical time and lasts about two hours; a beautiful kaleidoscope of pinks and oranges blending into the moonlight. Head chef, Neil Wagner, formerly at North Island in the Seychelles, and his exceptional team prepared a culinary feast for us, including tiny octopus canapés, countless bowls filled high with a divine selection of traditional Khmer specialties and dessert served on top of a light box. With all drinks (except for the reserve list), food, daily laundry, non-motorized activities and international calls included in your stay, you can relax and enjoy the refreshing treat of not having to settle up a huge tab at the end of your vacation. Day two on the island started with a sunrise yoga class on the main pool deck. Then, after a dip in my villa pool and an outdoor shower from my tree, I went to sample breakfast which was a gourmet selection of pastries followed by smoked salmon and eggs. 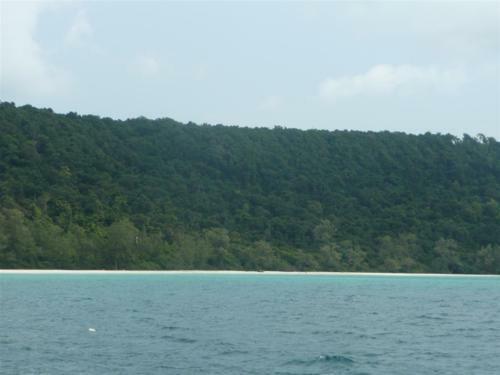 We were then taken on a tour of Koh Rong by one of the resident marine biologists who are all working hard to increase and preserve both marine life, island wildlife and the livelihood of the islanders. Song Saa is committed to preserving the natural habitat and providing for the future of the environment and local community – this really is sustainability and eco friendly tourism at its strongest. Even the straws used for drinks are made from bamboo-like plants and grown by local farmers – quirky, in keeping with the style of the island, environmentally friendly and providing jobs for the local community. It is small touches like this that make it such an incredible place to be a part of. 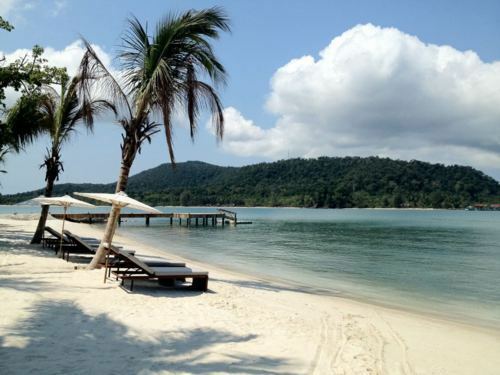 There are countless deserted beaches around Song Saa which the staff can arrange visits to. 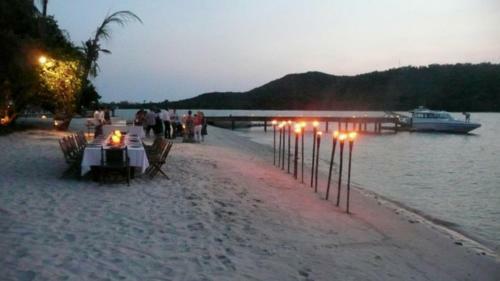 There is even an island you can get married on and have a traditional Buddhist ceremony followed by celebrations on Song Saa. 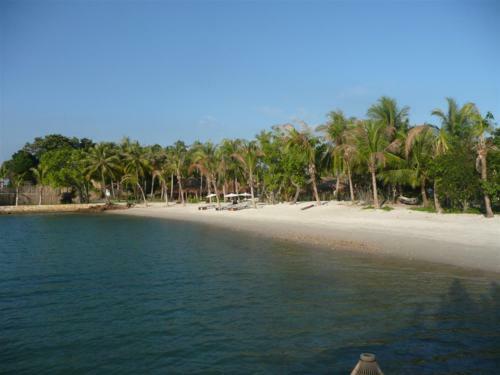 During our stay, Rory and Melita took us on a trip to the 5-mile beach on the speedboat. Here the staff set up a delightful camp on the beach complete with big straw parasols, towels, picnic food and drinks, kayaks and snorkeling gear. We splashed around in the clear warm sea and relaxed on the pristine sand, which was unexpectedly soft and like fine creamy powder. As our last morning dawned, we had a final tour around the island and said our goodbyes to our island family. The Song Saa staff have a genuine love and affection for what they do and why they do it – it really inspiring and heart warming to see. As we cruised back to Sihanoukville, we all had a little tear in our eyes as we reminisced over our time spent in what felt like our own little slice of untouched, Cambodian paradise. For more information on Song Saa and our customized itineraries to Cambodia contact our Asia specialists on 020 8682 5060.